The Italian duo will lock horns at Stamford Bridge on Sunday - as part of Derby Day on Sky Sports - and the two bosses rate each other highly. A young Sarri visited Ranieri during the latter's time at Fiorentina back in the 90s - and then played host last month, when Ranieri popped in to the Chelsea training ground, before he took the Fulham job. 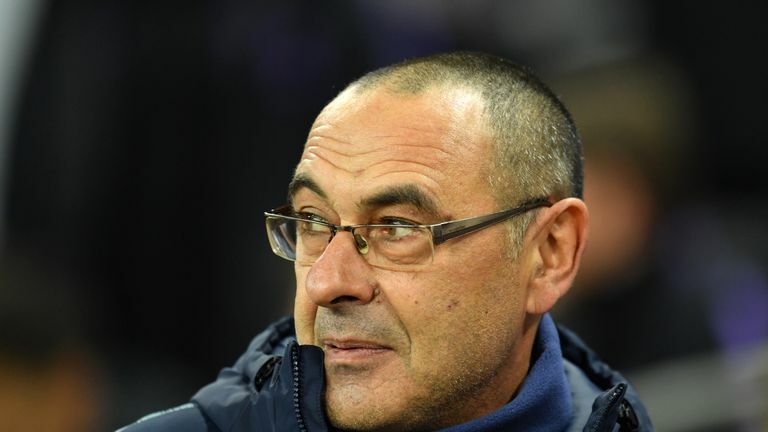 "I think Sarri is a very good coach. He arrived so late at the high level, he deserves it. "He deserves where he is. "I have been to (Cobham) - he was very kind with me. It was very interesting. "Sarri has made a very good group, who play with the right philosophy." Sunday will be a special day for Ranieri, who returns to Stamford Bridge once again, to face the club who gave him his first job in England, back in 2000. "It's always special (returning to Chelsea), " said Ranieri. "Every team where I work is special. "I came in England to Chelsea and had four fantastic years. "And also Hazard scored a great goal for Leicester (earning Chelsea a draw against Tottenham in 2016, handing Leicester the title). "Thank you Eden, again. Sunday, stay calm please!" Fulham remain bottom of the Premier League but it is very tight in that part of the table and they beat Southampton 3-2 last weekend, in Ranieri's first game in charge. "When you win, everything changes," said the new Fulham boss. "The players come here happier and that is normal. But now we have to forget and think about Chelsea. "Another difficult match for us. Chelsea lost their last match in the Premier League but yesterday won 4-0 (in the Europa League) and they are very, very hungry. "We need points and we are ready."